Monarch Air Group provides private air charter in South Africa. Our clients benefit from top-notch service, unrelenting dedication to safety, wide selection of aircraft, and years of experience in chartering private jets. To obtain a free quote, please use our online quoting tool provided below, or call toll free 1-877-281-3051. Monarch Air Group provides private jet charter flights in and out of South Africa. Officially the Republic of South Africa, South Africa is a country situated at the southern tip of Africa. 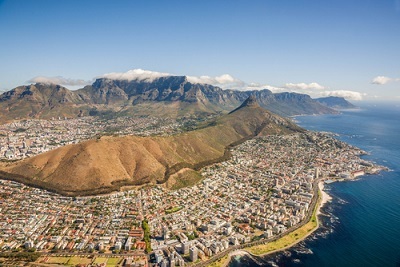 South Africa is divided into 9 provinces and has 1,739 mi of coastline. With a population over 48 million people, South Africa is the 24th most populous country, and the 25th largest country in the world by area. It has the biggest economy in Africa and the twenty-eighth-largest in the world. South Africa is a popular travel destination, and a substantial amount of income comes from tourism. Being a multi-ethnic nation, South Africa has diverse cultures and languages. South Africa has 11 official languages namely Afrikaans, English, Northern Sotho, Ndebele, Sotho, Tswana, Swazi, Tsonga, Xhosa, Venda, and Zulu. South African English and Afrikaans are languages of European origin. South Africa’s most popular sports are cricket, rugby and soccer, as well as swimming, golf, athletics, boxing, netball and tennis. 1. PRK, Prieska, Prieska, South Africa.